At Matas' 10,000 square meter warehouse in Allerød, the introduction of Apport WMS has increased efficiency, so that a warehouse employee, who reached 500 line items in one day, now reaches more than 1,000. Before all the striped bottles and buckets from Matas is to be found in every bathroom and toiletry bags, they are packed on Matas’ huge warehouse in Allerød. The workers involved with packing are helped by Apport WMS and its voice-controlled terminals. The WMS system automatically ensures that employees do not need to take more steps than necessary, while both perfume bottles of glass, drugs and lots of striped products are packed to the chain’s 292 stores. The challenge on Matas’ 10,000 square meter store with 7,000 different products was to create a connection between the two floors of the warehouse. This was a task for Apport. By packing separately on the two floors and then let the WMS system ensure that the right orders are collected in the end, the employees save so much tim that they can complete many more orders at the same time than before. Process over technology. At Apport, we optimize our customers' processes and create greater value than technology can by itself. 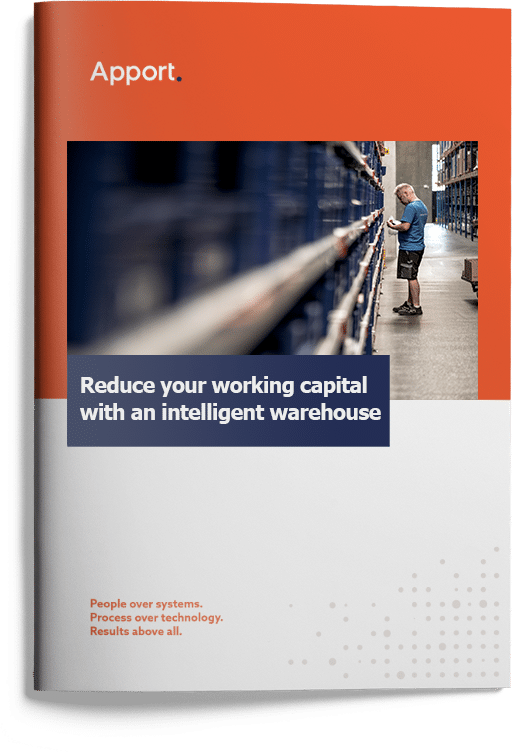 "It's difficult to predict everything when you go into a substantial streamlining of the warehouse, as we did, but our calculations relative to Apport kept their word. They managed the challenge, so today we have an extremely well-functioning warehouse that is effective in all areas,” says Logistics Manager Jesper Amsinck, stating that a warehouse worker previously reached 500 line items in one day and today reaches 1,000 lines. “Overall, we have a complete overview of even the smallest details in the warehouse,” explains Jesper Amsinck, who also emphasizes that Matas has achieved a far better management follow-up of the pickers. Just the satisfaction of the stores has been a huge win for Matas, because this is where consumers encounter shortcomings if the warehouse can not live up to delivery time and -place. Therefore, the minimization of incorrect orders was a significant gain in Apport’s warehouse solution. Part of Matas’ range consists of medicare products, that must be monitored in particular in relation to expiration dates. This automatically takes place with the warehouse system, which keeps an eye on what goes into the warehouse and out to the stores. “This is another advantage, we’ve benefited greatly from, which has made everyday life much easier for both the warehouse staff and the employees in the stores. We know exactly how many products there are, how old they are, and when they may need to be removed from the shelves again,” explains Jesper Amsinck, who expects the stock to evolve and becomes even more streamlined in the future. The Matas chain was founded in 1949 as a voluntary chain. There is a total of 2.500 employees in Matas' stores and at the head office in Allerød, where the warehouse function is also located.